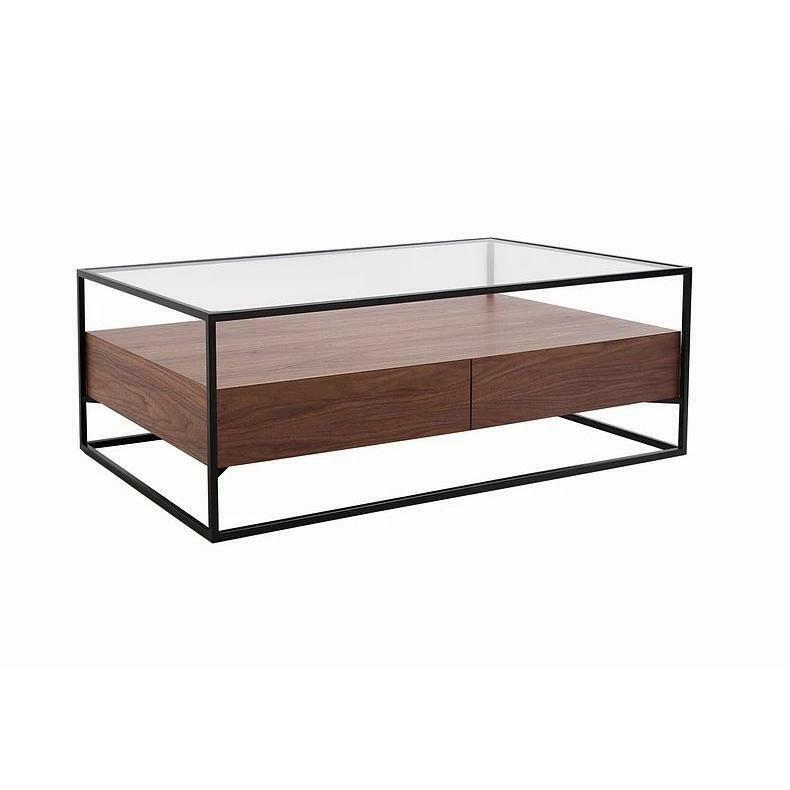 This Karma coffee table from Colibri features two drawers in Walnut finish, a black powder coated metal frame, and a glass top. It will be a stylish piece in any living room. 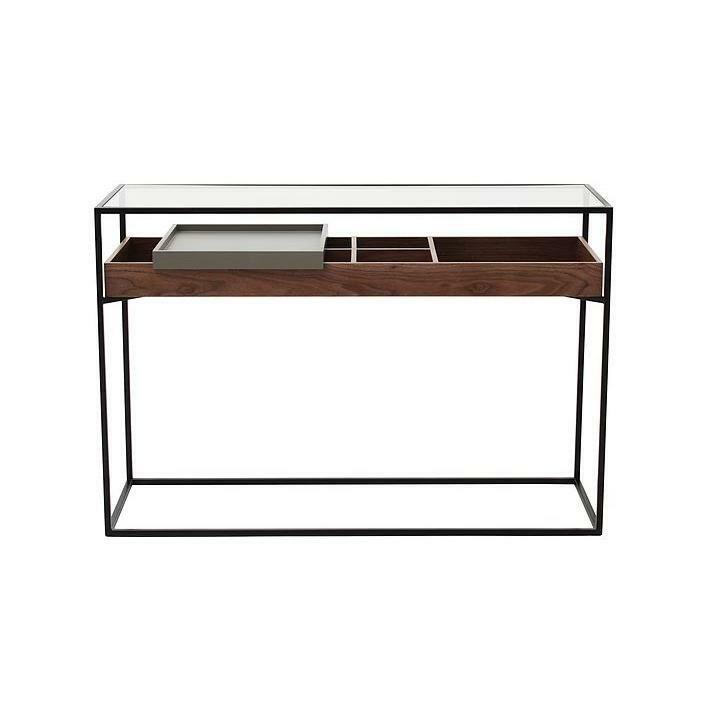 This Karma console table from Colibri features two drawers in Walnut finish, a black powder coated metal frame, grey lacquered tray, and a glass top. It will be a stylish piece in any living room. 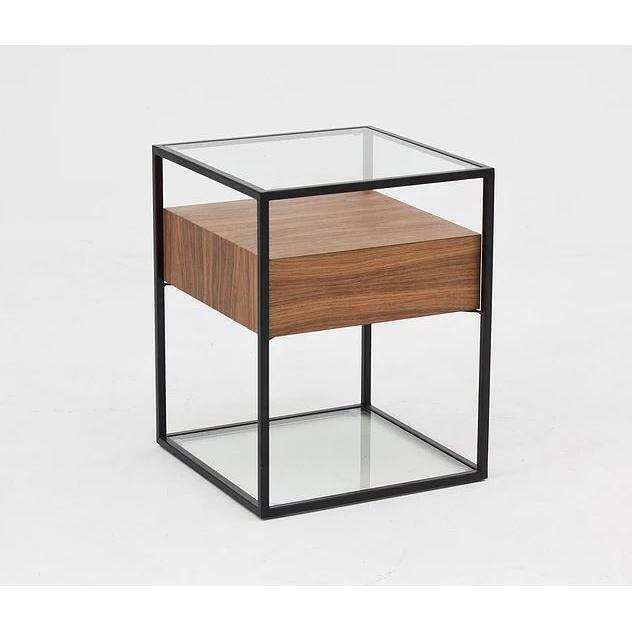 This Karma end table from Colibri features a drawer in Walnut finish, a black powder coated metal frame, and a glass top. It will be a stylish piece in any living room.